Who portrays the delightful Airperson to whom McKay barks "Airperson, don't be there!" around midway through Stargate: Atlantis's excellent second-season episode [S02E02], "The Intruder"? As she is a wordless extra, this information may not exist publicly. But you never know. Browse other questions tagged stargate stargate-atlantis production actor-identification or ask your own question. What were the titles of the seventeen DVDs owned by Sally Sparrow? If the Wraith know about Atlantis, why don't they go there more often? Is the actor for Albus Severus Potter one of the triplets who played Harry? 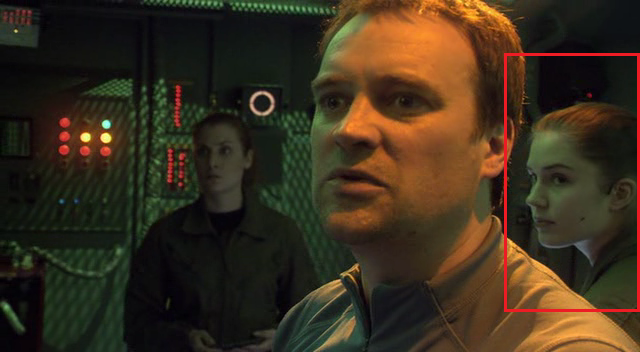 Which “Stargate” actor played the same role in “Stargate Atlantis”? Was the fact that McKay is Canadian established prior to the Atlantis premiere? Why did the Asgardians need McKay & Jackson's help to activate the Attero device? Why does McKay not use his personal shield emitter in Season 2, episode 1?